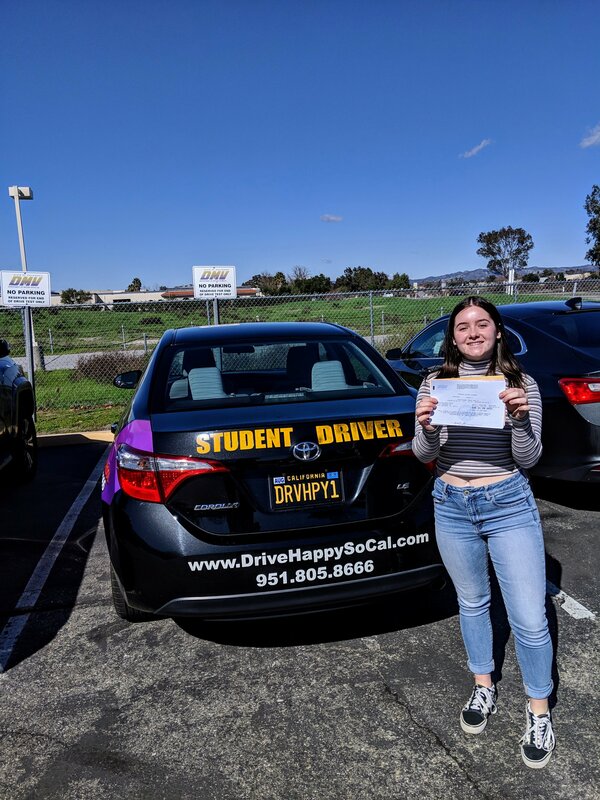 Annalise from Lake Elsinore Passes the DMV Drive Test with Drive Happy! 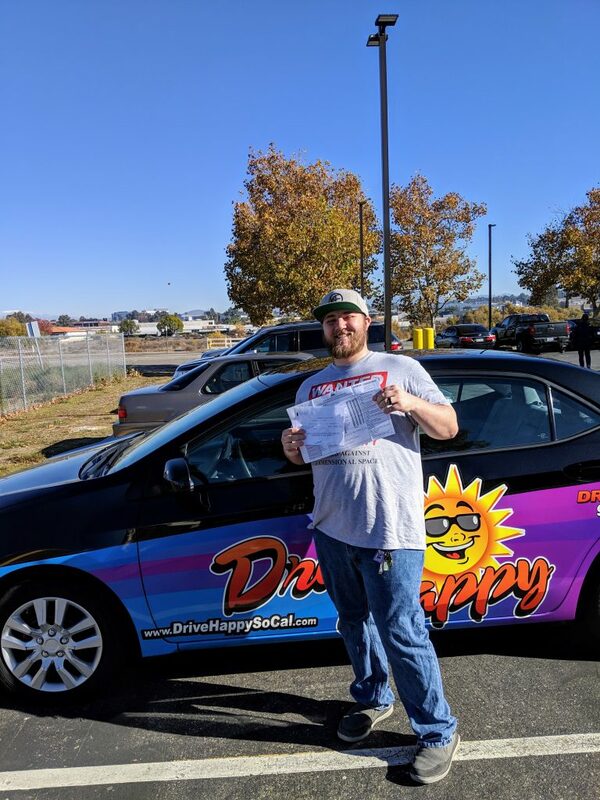 David from Murrieta Passes the DMV Drive Test with Drive Happy! 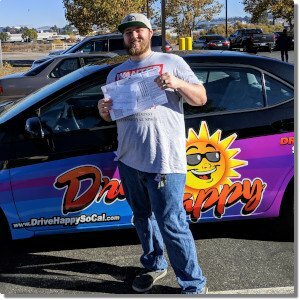 Raven from Murrieta Passes the Drive Test with Drive Happy! 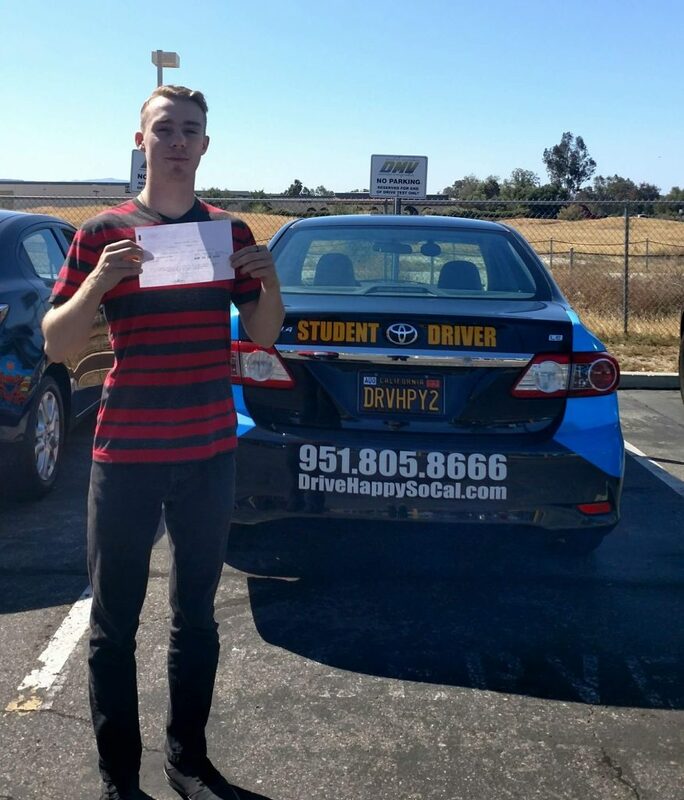 Jonathon from Lake Elsinore Passes the Drive Test with Drive Happy! Kaylee from Wildomar Passes the DMV Drive Test! 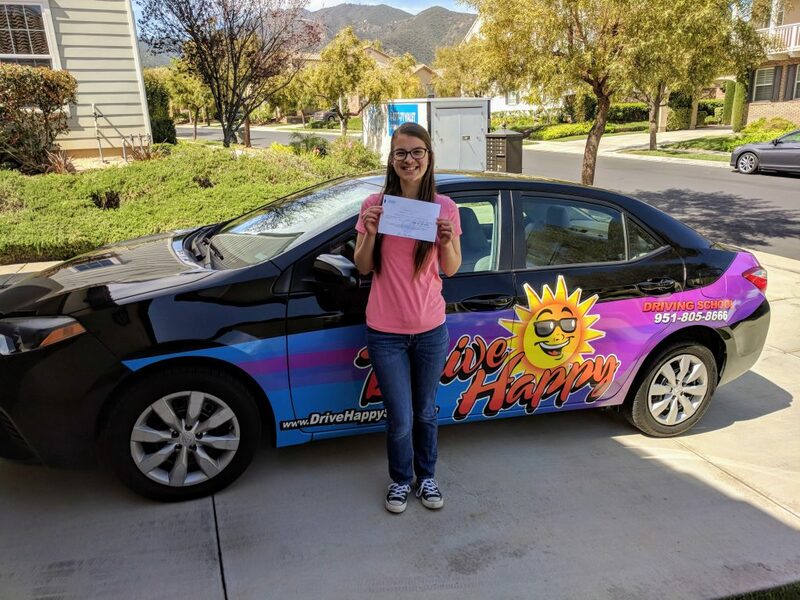 Congratulations Drive Happy student Kaylee from Wildomar! 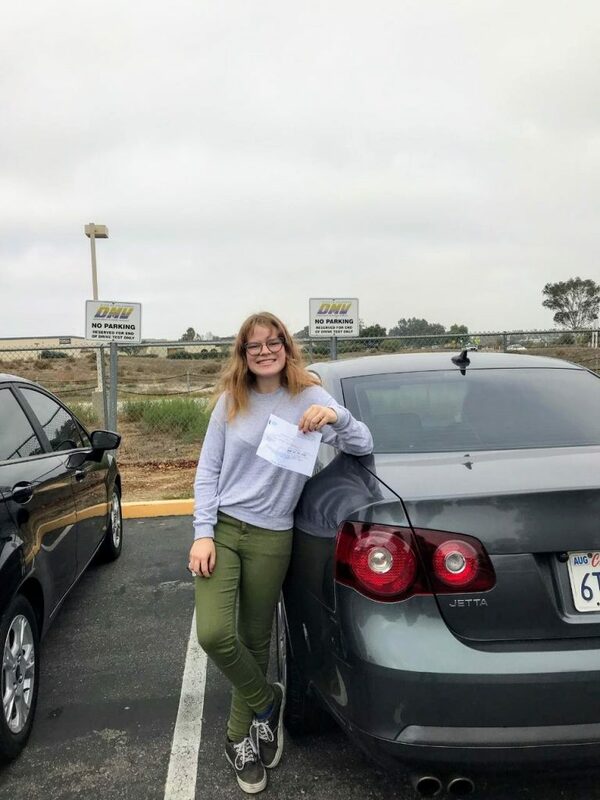 Sasha from Murrieta Passes the DMV Drive Test! 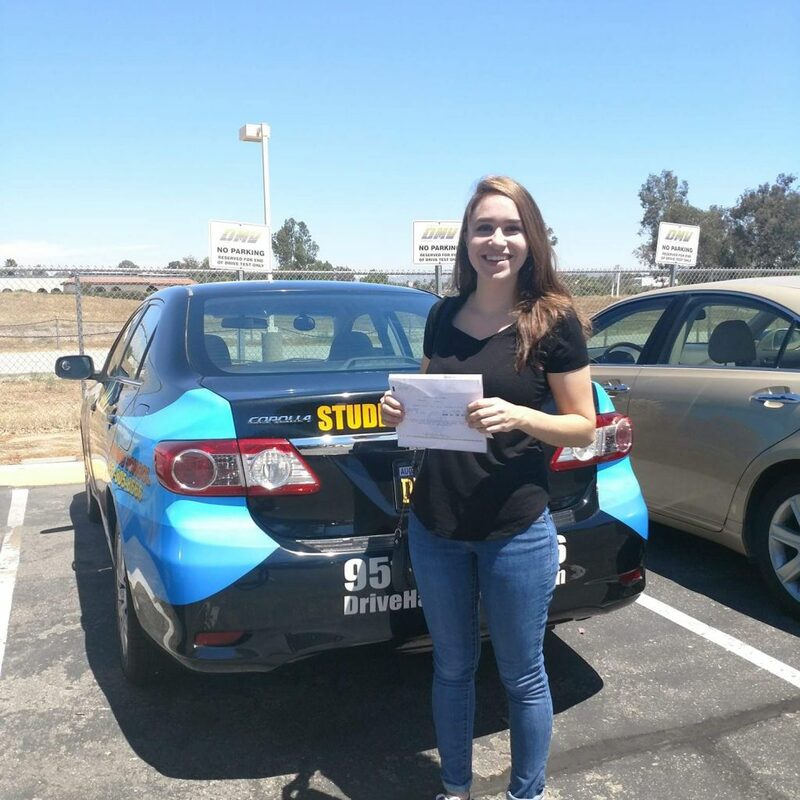 Mary from Murrieta Passes the Drive Test with Drive Happy! Congratulations Mary! Welcome to California! 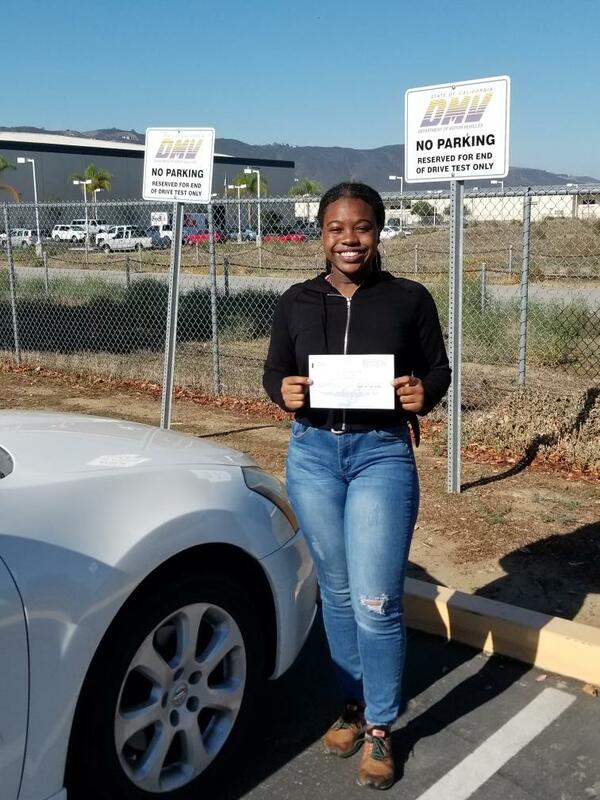 She took driving lessons with Amber and passed her DMV Drive Test at the Temecula DMV today! 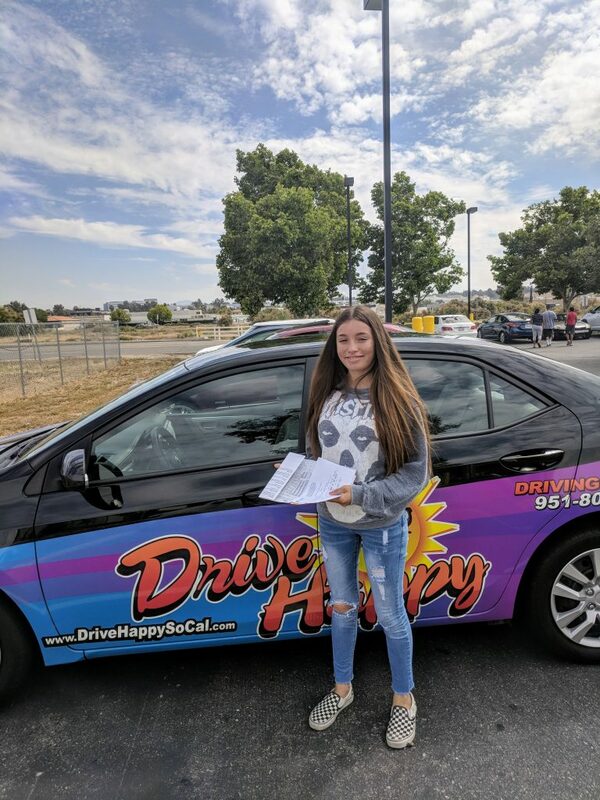 Analia from Lake Elsinore Passes the Drive Test with Drive Happy! 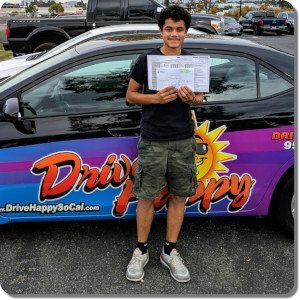 Brian Passed the Drive Test with Drive Happy! Congratulations Brian for passing your test on the first try with only one minor error!! Brian is an adult who took 6 hours of instruction with Amber, and took the test in the car he trained in. Way to go Brian!! 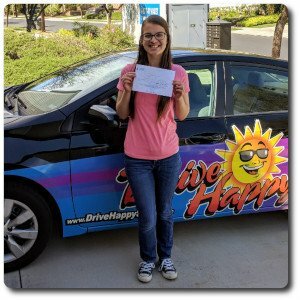 Darya from Horse Thief Canyon Passes the Drive Test! "Learning to drive should be fun, not frightening." Josh is both an experienced classroom and Behind-the-Wheel instructor. He has over 16 years experience in the driving school industry, having taught over 3,500 students! 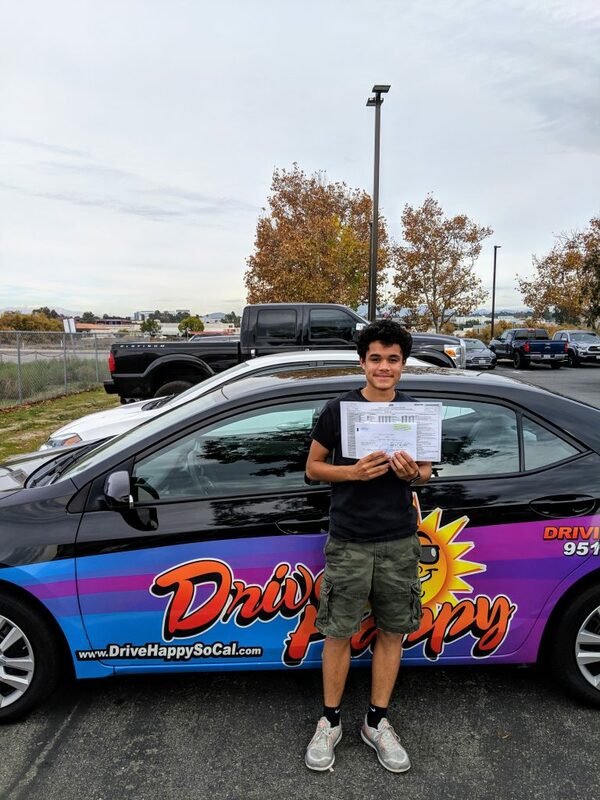 His years of experience have allowed him to develop the unique Drive Happy training programs for teens, adults, and senior drivers. Training is focused on building a positive, relaxed learning environment teaching students simple techniques to drive safely. Training purposely avoids heavy handed, high concept teaching in favor of building a series of simple habits that produce safe and reliable drivers. Josh served two terms as President of the Driving School Association of California and spent five years serving as Secretary prior to that. Josh is a frequent educational speakers / teachers at driving school industry continuing education seminars.